Do you need to install insulation in the new home you’re building? Need to re-insulate your home? Whatever your situation, Tidewater Insulators is the company you need! If you’re looking for spray foam insulation contractors in the Virginia Beach, Virginia area, we can help. Why Use Spray Foam Insulation in Your Virginia Beach Home? Spray foam insulation is a good choice if you want to make your home in Virginia Beach more energy-efficient and comfortable. We use BASF Sprayed Polyurethane Closed Cell Foam. BASF SPRAYTITE is a high-quality spray foam insulation that creates a continuous air barrier for the highest energy efficiency possible. Wherever you need to insulate your Virginia Beach home, spray foam insulation installed by Tidewater Insulators is a great solution. 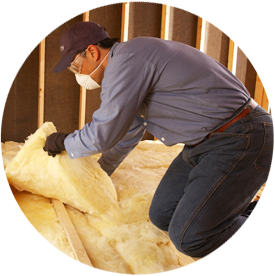 Our experts insulate many homes throughout Virginia Beach, including Kings Grant, Bayside, Great Neck, Oceana, and more. Contact us today if you’re ready to insulate your home with spray foam!